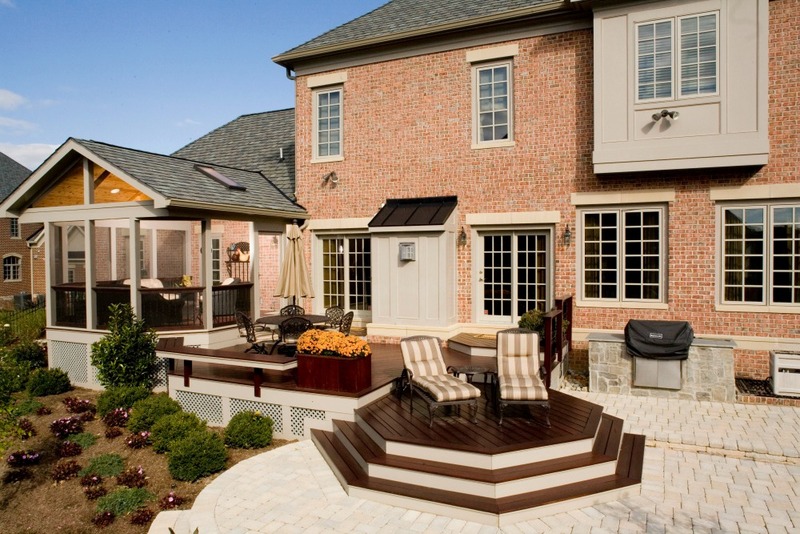 2, Grills – Outdoor kitchens are growing in popularity and in most cases the grill is the focal point (you need somewhere to do the cooking, right?). Grills can be as simple or as complex as the client wants. Personally, I just need to know it can cook a mean burger. 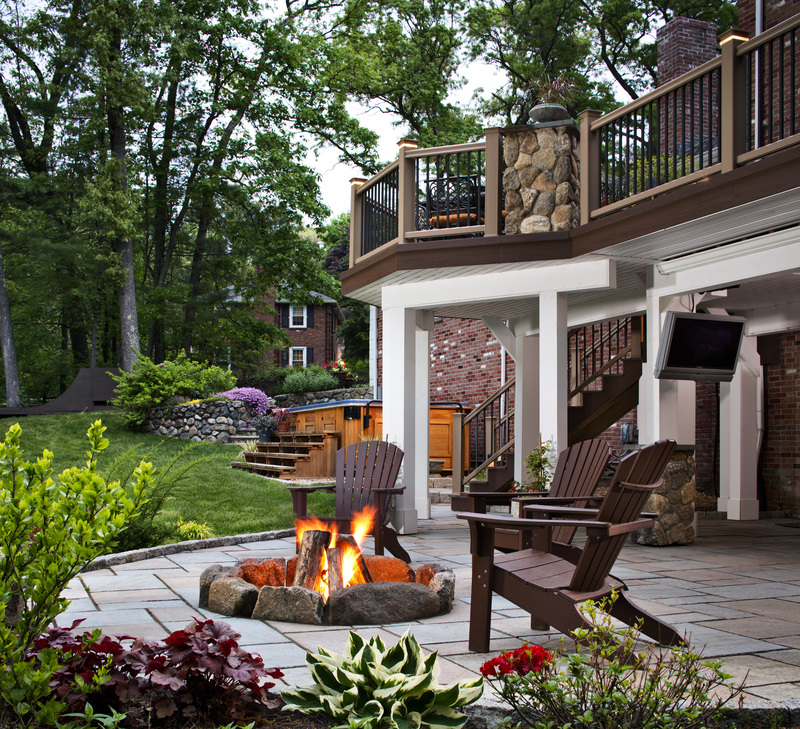 3, Seating and Dining Areas – Outdoor living is truly about that, living. 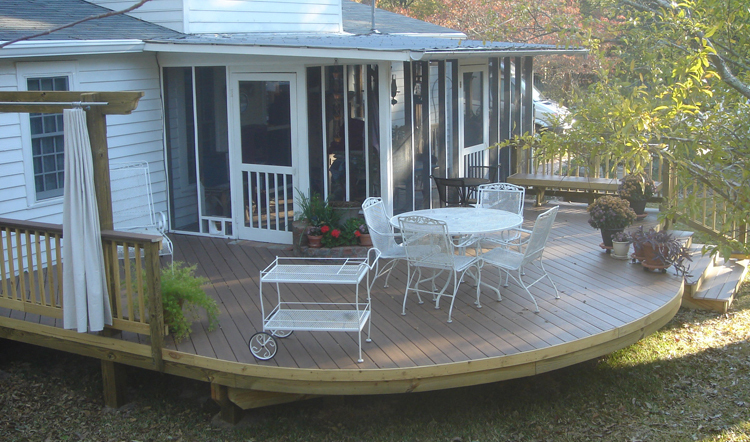 A deck or patio without a way to enjoy it is just a structure. 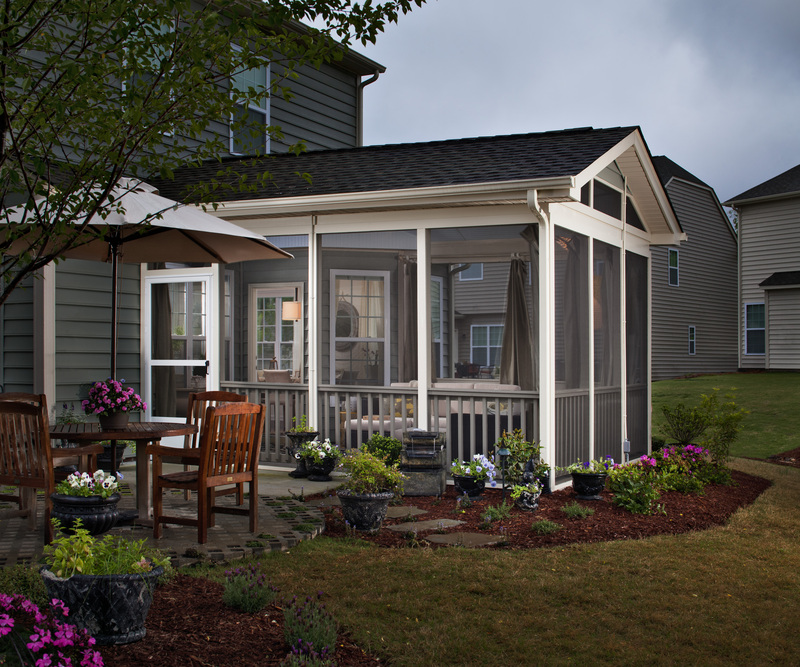 The key to making sure that the space is as usable as possible is the design. 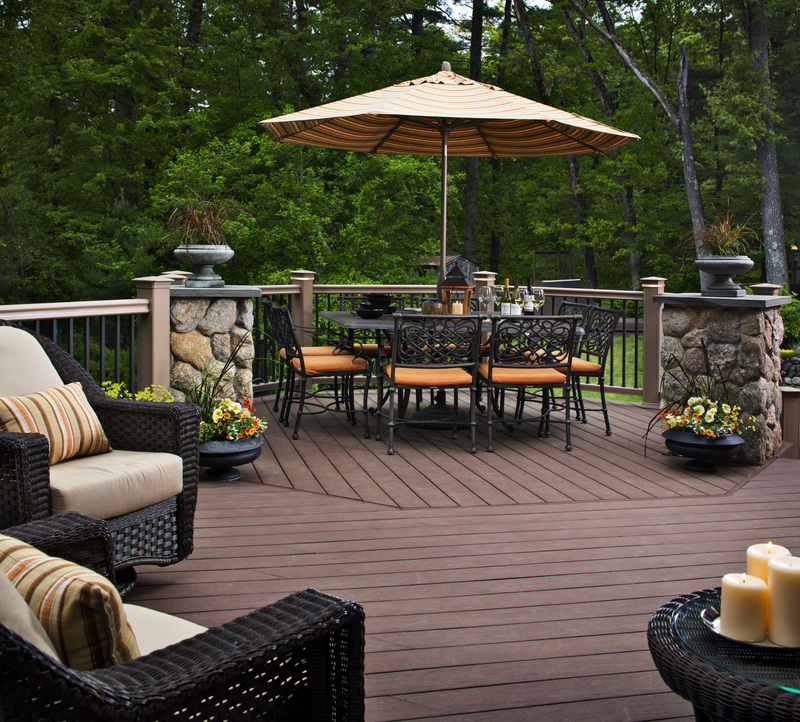 Talk to your deck builder about how you intend to use the space so the size, shape and flow allow you to have the space you’ve always wanted. 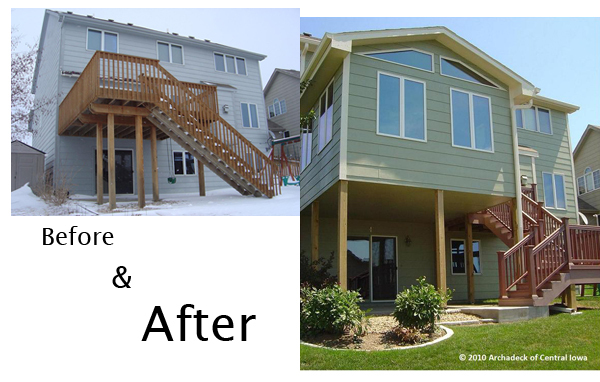 4, Lighting – Gone are the days of floodlights attached to the side of the house. 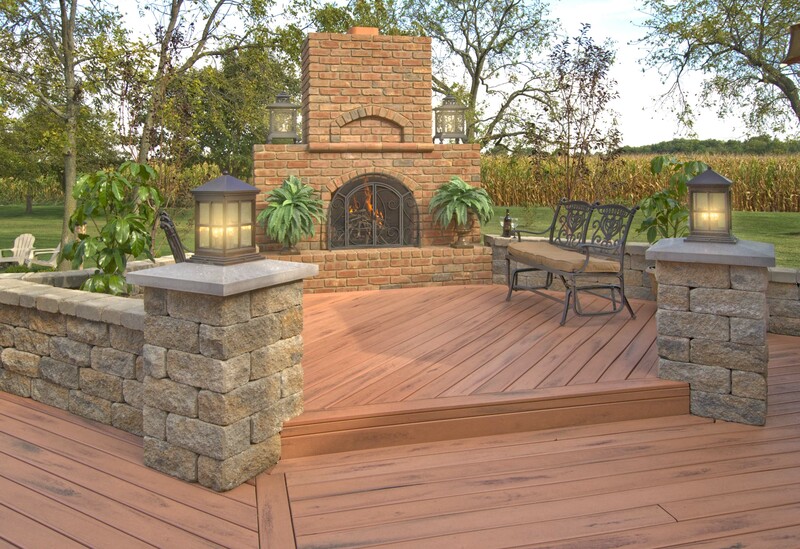 In are the days of beautiful outdoor lighting that accentuates the space entirely. Lighting will also allow you to spend more time outdoors and will illuminate traffic paths for safety and security. 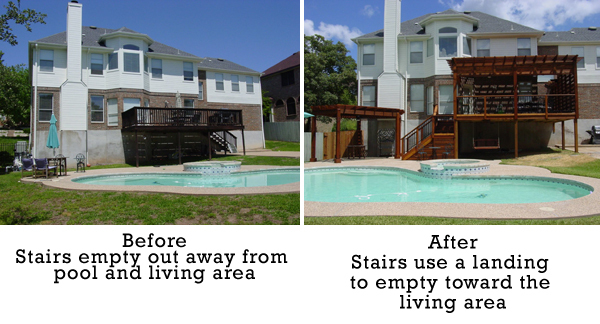 5, Installed Seating – Installed seating can take the appearance of benches, seat walls, ledges, steps, etc. This plays into the seating and dining areas at number three. 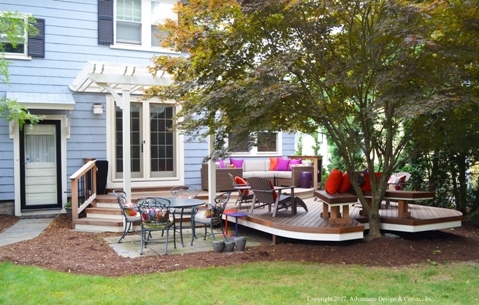 It is sometimes easier and better to create seating that is installed in some areas as opposed to pieces of furniture. 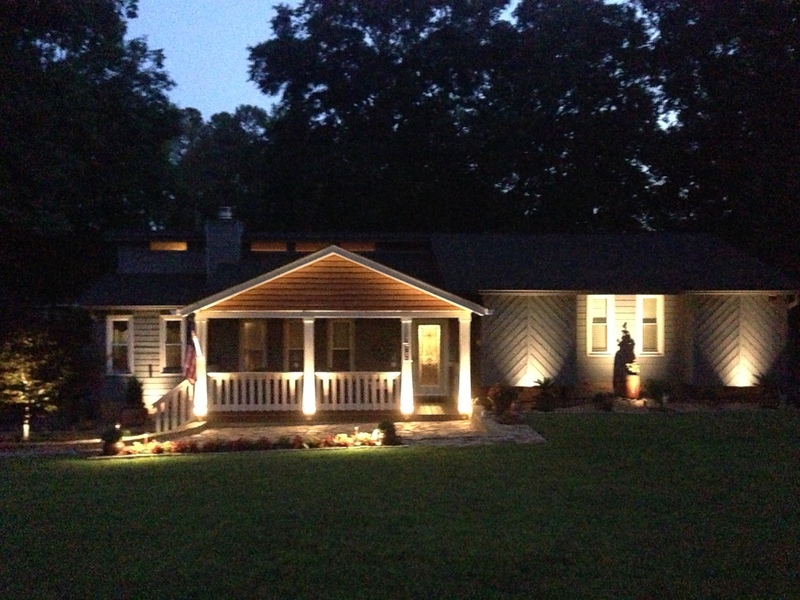 The Outdoor Lighting Perspectives team installed architectural and landscape lighting around the front of the home. The house itself had some interesting textures with its siding that Kenny wanted to highl ight using well lights that shine up on the house. 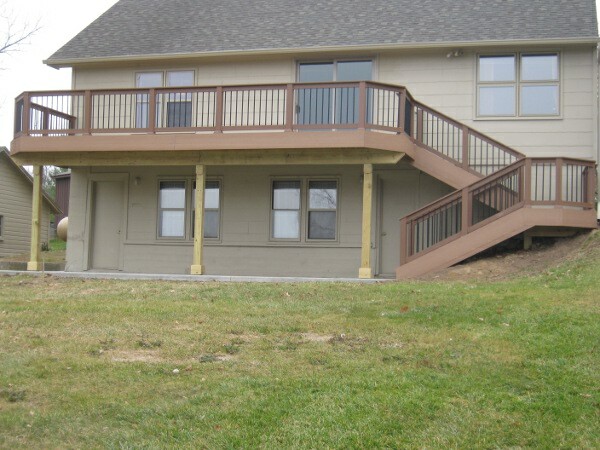 Column lighting was added to the porch columns to accentuate the covered porch structure and to allow some additional lighting on the porch as well. 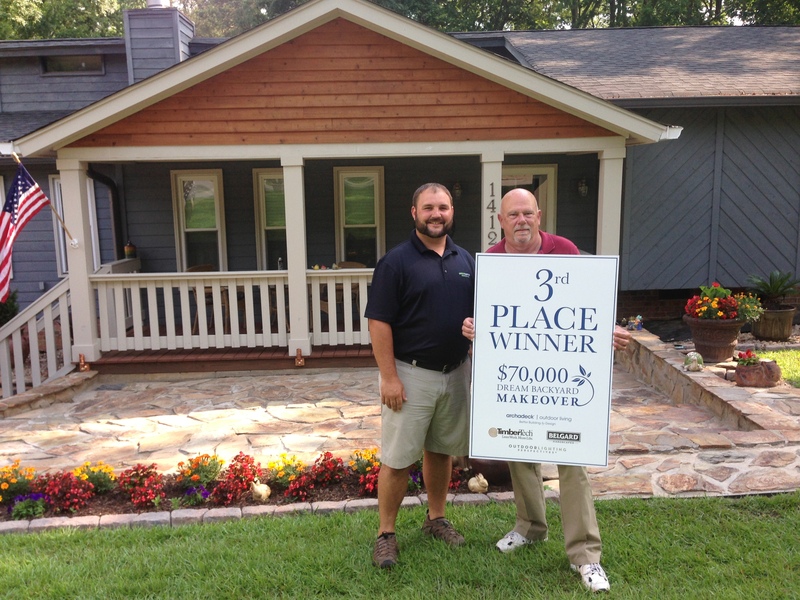 In front of the porch, there is a paver patio that didn’t have adequate lighting for family and friends. 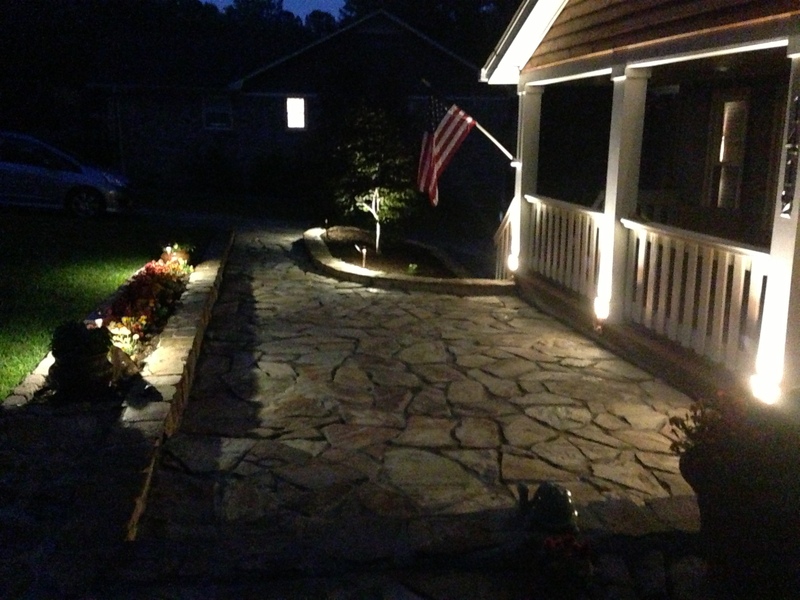 Copper path lights were installed in the surrounding planters to light the patio.